We’re more aware than ever of the dire straits our planet is in. Climate change is happening faster than anticipated, and to head it off we need to make some strong, actionable choices. As a society based on consumerism, we want to enjoy life, but we also don’t want to sacrifice Earth while we’re standing on it. That’s why demand for eco-friendly packaging is on the rise. It ensures we’re not stomping this planet into the dust, while ensuring that the goods and services we enjoy still get to exist. 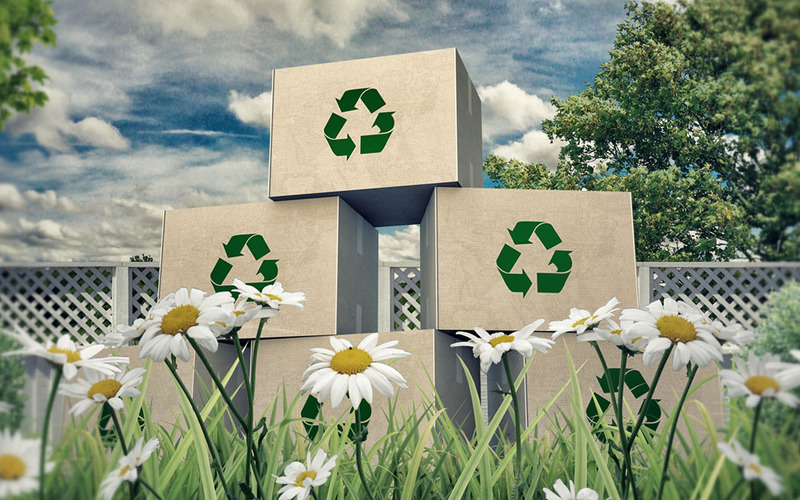 Here’s why eco-friendly packaging is in such high demand, and how it can benefit your company to consider adopting it. More and more consumers are favoring environmentally responsible packaging choices. When a business adopts eco-friendly packaging into their packaging strategy, it sends the message that the brand understands the importance of caring for our planet. It’s an effective way to make strong, positive first impression. The eco-friendly packaging of today is often made of less-destructive materials, made from recycled materials, or made from sustainable sources (such as carefully-managed forests). During production, it also tends to release less emissions and uses less energy-intensive resources. When you hear talk of reducing carbon footprints, eco-friendly packaging does just that. Before something becomes mainstream, it tends to be in low supply with costs that can be prohibitively high. Thanks to greater demand for responsibly-sourced packaging supplies, eco-friendly packaging has entered the mainstream. Now, a business can have access to bulk quantities, lowering its pricing and making it a viable addition to their packaging strategy. Most packaging, especially the type that sits on shelves, is wrapped in bright, attention-grabbing graphics. While it certainly catches the eye, it makes a visual mess of things. Reducing packaging down to its pre-printed, pre-bleached state gives the kraft material a raw, rustic, organic look. Paired with basic black printing (or a single color), it makes branding stand out simply for appearing like it’s environmentally-conscious. Eco-friendly packaging tends to use less material, reducing its overall size and weight. With dimensional weight calculations being used to charge for delivery services, this means your individual shipments can end up costing you less. It’s easy to see why that can be so enticing a company and its bottom line. Plenty of shipping supplies end up in the garbage once they’ve been used. This helps no one, as it wastes environmental resources and your packaging budget. Today’s eco-friendly packaging can be recycled, repurposed, and in most cases, used for composting. Recyclable and biodegradable is a winning combo. Demand for eco-friendly packaging is growing every day, and for good reason. It’s sustainable, it’s responsible, and it’s just one way consumers and citizens can begin demanding environmental change. When you’re ready to begin creating an eco-friendly packaging strategy, The Packaging Company has the supplies you’ll need to get off to a great start.